For our German Customers, please click here. years of experience (since 2003). providing digitized designs in all machine formats. offering a fully comprehensive digitizing service to most machine formats, using our state of the art Tajima Pulse software as well as Bernina Artista by Wilcom. avail this service to embroidery companies and individuals, anywhere in the world, who do not have either the software, resources or time to digitize themselves. we offer the same high quality attention you deserve, to every project. A common trend by embroiderers is to outsource embroidery digitizing due to the accessibility of email and other internet based mediums. Transfer of embroidery files is easy. Read more about the benefits of outsourcing embroidery digitizing work as opposed to doing it in-house. Upload your logo/design via our quote request below, in a vector or high resolution jpeg format, mentioning any fonts used, and we will revert to you within 24 hours with a quote for digitizing the logo. This can then be stitched onto any garments you or we supply. 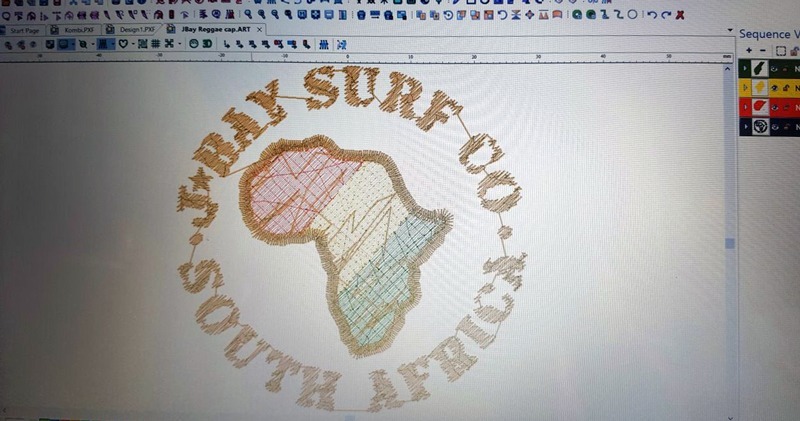 Besides servicing East London, Eastern Cape, Mthatha, Butterworth, King Williams Town, Emonti Branding extends their services to the entire country, and our digitizing service worldwide. Contact Us for more info. eMonti – Keeping you branded since 2003! Visit our Facebook Page for regular news updates.